Hi Rob- looking forward to getting this book! Haven’t forgotten about the birthday present Skype lesson, and will be in touch soon to get this organised. It might take a few weeks before the book is available in the UK. Good luck finding it! Just saw your book listed on Elderly.com. 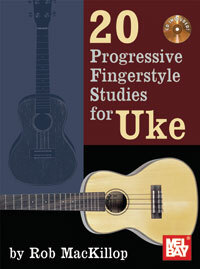 I edit Ukulelia, a blog for uke players. Any chance we can get a reviewer’s copy? I don’t even have one myself yet. Please contact Mel Bay for a review copy.